A solid foundation is absolutely necessary when it comes to running a successful business. The same is true for SEO. 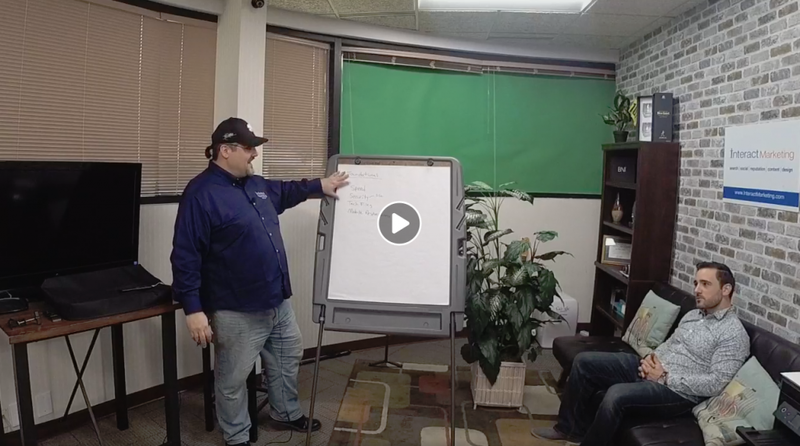 In Episode Two of our live series “Interact With Us”, Interact Marketing CEO Joe Beccalori discussed two foundational elements of technical SEO: website uptime and speed. Below is a summary of what you may have missed. Like Interact Marketing on Facebook to get notified when we go live with our series “Interact With Us”. Almost 55 percent of website traffic comes from mobile devices, so it’s absolutely crucial for your website to be optimized for mobile. PageSpeed Insights by Google Developers is a great free tool to test the speed of your website. To bring this all back to foundational SEO, Google has made it clear that site speed is just one thing that their algorithm takes into consideration when ranking pages. On top of negatively affecting your page rank, a slow load speed can and will lead to poor user experience (UX). As you can imagine, when a user becomes inconvenienced or frustrated within seconds of their first interactions with your business, this is not good news. Think of it as a first impression when your meet someone. It results in high bounce rates, less time spent on pages and ultimately reduced conversions. It’s a lose-lose situation; avoid it at all costs. We all have busy lives, and no one has the ability to constantly monitor their website to make sure it’s up and running smoothly. Without using a tool to monitor your website, your site may be down without you even knowing it. Luckily, there are monitoring tools out there to keep an eye on your website 24/7. Some tools that our digital marketing agency has used or currently uses includes Uptime Robot, WebSitePulse and Anturis. Why the focus on uptime? When Google decides to crawl your site and it’s not up and running, this can affect your rankings. Recovering from this is not an overnight fix because Google may take days to recrawl your site. Also, don’t forget about your website traffic. If users try to visit your site when it’s down, it erodes your business’s credibility. Don’t forget to interact with us if your website needs some TLC and stay tuned for episode 3! This entry was posted in Business Tips, Industry Topics, Interact Marketing Blog, Interact With Us, Search Engine Optimization. Bookmark the permalink.